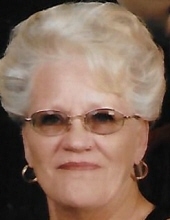 Betty Jane Hill, 72, passed away Saturday, March 23, 2019 in Biloxi, MS. She was born September 14, 1946 in Quitman, MS.
She will be remembered as a loving mother, grandmother, and great-grandmother. Betty's hobbies included singing, gardening, fishing, and wine-making. She was affectionately referred to as "Granny" by her cherished grandchildren and great-grandchildren. Betty was preceded in death by her beloved husband of 40 years, Raymond Eugene Hill. She is survived by her daughters, many grandchildren, and great-grandchildren. Along with numerous relatives and friends. In keeping Mrs. Betty's wishes in mind, there will be no services held. Heritage Funeral Home, locally owned and operated in Moss Point/Escatawpa, MS, is in charge of arrangements. You may view and sign the online register book for Betty Hill at heritagefuneralhome.us. To send flowers or a remembrance gift to the family of Betty Jane Hill, please visit our Tribute Store. "Email Address" would like to share the life celebration of Betty Jane Hill. Click on the "link" to go to share a favorite memory or leave a condolence message for the family.